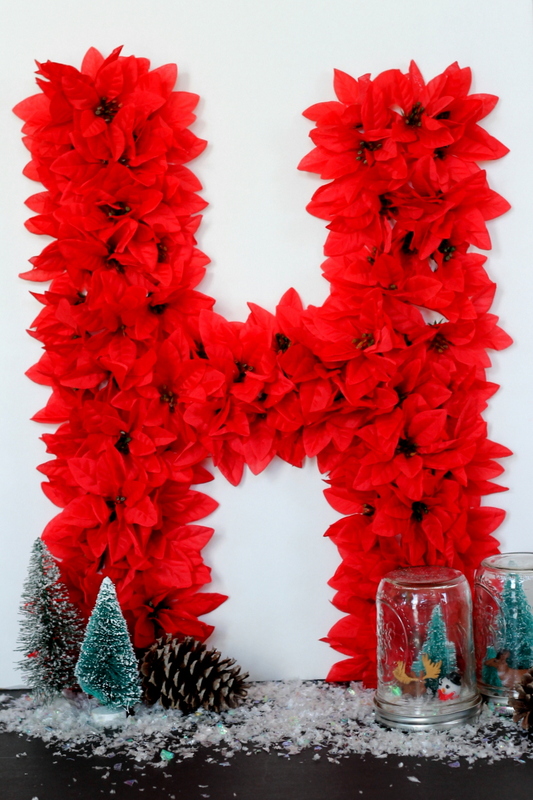 I have the instructions for making your own poinsettia monogram today. This is so super simple to make yet will look gorgeous in your home this Christmas. Customize to your initial or make a word. Either way, you will love the addition to your holiday decor. This post is sponsored by Old Time Pottery and you can click here to get to the instructions for making your own poinsettia monogram. I am compensated for this post however all projects and opinions are my own. Thanks for stopping by and I hope you will enjoy this fun poinsettia monogram project. This is beautiful! Thanks for the inspiration! What a really fun idea! I am headed over right now to get the instructions! Ooh, so festive! I never thought of doing that; thanks for sharing the idea and tutorial!